Eric V. Gottardi is a senior partner at Peck and Company. He is an experienced litigator, and has acted in many significant criminal cases, at both trial level and on appeal. Eric obtained his law degree from Queen’s University and then went on to work as a judicial law clerk at the Court of Appeal for Ontario. After being called to the bar, he joined the firm of Peck and Company, where he soon focused on appellate and extradition work. Eric practices primarily in the area of criminal law, including acting as Crown Counsel in special prosecutions involving potential conflicts of interest within the Attorney General’s Ministry. He was called to the Bar in Ontario as a special prosecutor (L2) in 2010. 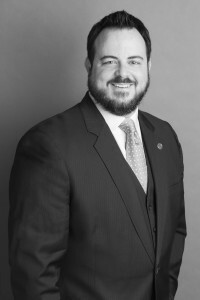 Eric has also represented clients with respect to quasi-criminal matters including securities prosecutions, workplace fatality investigations, and forfeiture proceedings. He has argued cases at all levels of Court, including several at the Supreme Court of Canada. He has also appeared as counsel in Ontario and Alberta. Eric is a former Chair of the Canadian Bar Association’s National Criminal Justice Section, and currently holds the position of past-chair. Eric was recently elected to be the Chair of the Criminal Section of the Uniform Law Conference of Canada. Through his work with the Canadian Bar Association, Eric has been invited to testify as an expert witness before Parliamentary committees in both the House and the Senate, in relation to issues of criminal law policy and legislation. Eric regularly contributes to legal education programs. He is a member of the faculty of the Federation of Law Societies National Criminal Law Program. Eric has authored papers and articles on criminal law issues, and has spoken at programs offered by the Canadian Bar Association, Law Society of British Columbia, Federation of Law Societies, University of British Columbia, National Judicial Institute, International Society for the Reform of Criminal Law and the Trial Lawyers Association of British Columbia. He has also co-chaired CLE Educational Seminars on Workplace Fatality Cases. Eric is the Editor of the Charter of Rights and Freedoms Newsletter for Thompson Reuters and often appears as a legal analyst for the CBC and other media outlets. Eric Gottardi of the Canadian Bar Association and Chief Dale McFee from the Canadian Association of Chiefs of Police debate Omnibus Crime Bill C-10, the massive crime legislation that’s poised to become law. Eric Gottardi comments on the Omnibus Crime Bill on the CTV News Vancouver. Eric Gottardi comments on the Omnibus Crime Bill in the National Post. Eric Gottardi of the Canadian Bar Association responds to the Government’s attempt to shame young offenders. Eric Gottardi of the Canadian Bar Association opposes random breathalyser tests at the roadside. Eric Gottardi comments on the police approach to the riot charges. Eric Gottardi appears before the House Committee on Justice and Human Rights in Ottawa to debate Bill C-26.